Sometimes cook-out leftovers are a fabulous lunch option! 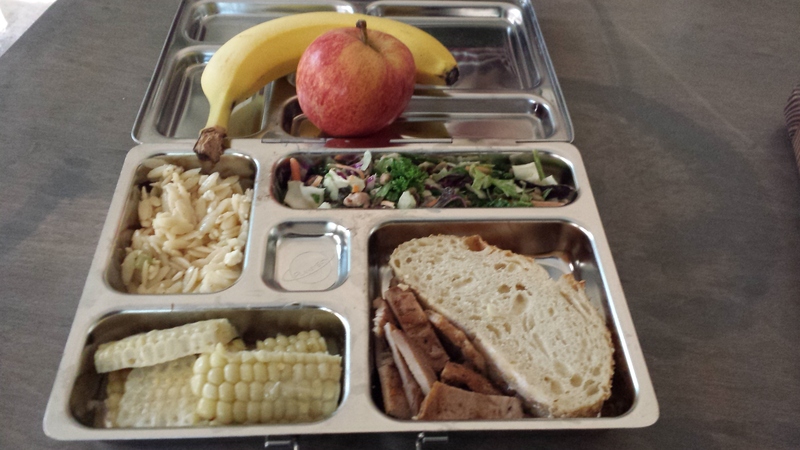 Orzo with feta and cucumber, Grilled Pork chops, Chopped Salad, Corn, bread and some fruit! Whats in your springtime lunch box? Its that time of year again………..Daily SOUP! that looks great, can you make my lunch?